If you are into weight lifting or body weight exercises and you already poses some decent pulling strength, this exercise might be something that you will enjoy and be challenged with. 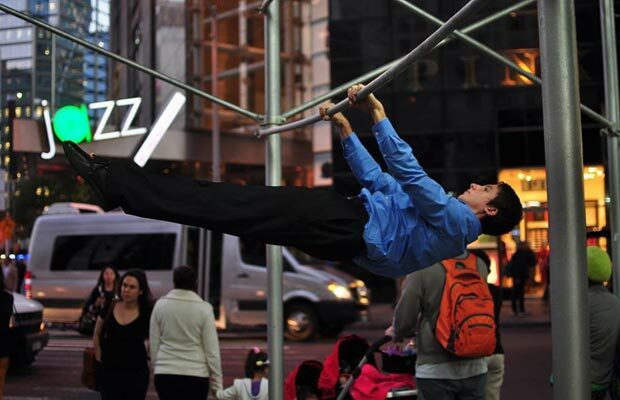 Front lever pull is a far superior movement to simple chin-ups or pull-ups. It simultaneously combines pull-up, rowing and isometric elements of strength. To get a benefit out of front lever pulls, you will need to be able to do at least 15-20 strict pull-ups and have a decent core strength. This multi-plane movement will affect almost every part of your upper body and core muscles. It can also make an excellent supplementary exercise for the front lever training, and for body-builders, it can be a great change in the routine or alternative for barbell or dumbbell rows, especially useful if you are not challenged with those girly weights in your holiday gym. Just throw it into your back routine, as long as you are reasonably strong and can properly execute it, you won’t be disappointed. Front Lever Pulls can be a quite taxing, so you might have to start your routine with them. Don’t underestimate this exercise, remember to thoroughly warm up and always listen to your body. Start at the top of a pull-up with fully bent arms. Rings parallel (palms facing each other) and close to your shoulders. (Chin over the bar if using pull-up bar). Push your shoulders far back behind your hands while you turn your palms outside and lift the hips to horizontal position. Keep your head in neutral position and the back flat.Keep your body hollow but do not pike your hips. The elbows must be completely locked each time at the horizontal position.From the horizontal position, drop your hips and pull back with the arm to return the chin over the bar.Repeat as required. Equipment: Gymnastic rings / Pull-up bar. Make sure you have enough room behind your head. 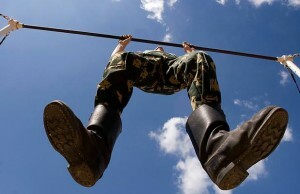 Prerequisite: 15-20 strict pull-ups, 3 min – front plank hold. Progression: Perform exercise slower / Try to pause at the horizontal position / Add ankle weights. Tips: Keep your body straight and tight. Pull in your core muscles in and squeeze your buttocks. If you have a difficulty maintaining straight body, try performing the exercise faster and / or in straddle position (legs apart). ←Previous Story DO WEIGHTS MAKE WOMEN BULK UP ? Next Story → WHAT IS THE BEST TIME OF DAY TO WORK OUT ?